Fast-rising rock band Franco will rock Eastwood Central Plaza in Libis on Labor Day, May 1, to celebrate the official lanching of their all-original debut album under MCA Music. The tag "super group" and "powerhouse band" accorded to fast rising local rock unit Franco goes beyond lineup considerations. 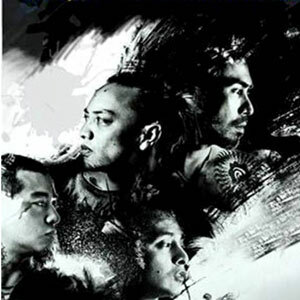 While it’s true that the band is composed of individuals affiliated with established acts—Franco Reyes (Inyo), Gabby Alipe (Urbandub), Paolo Toleran (Queso), Buwi Meneses (Parokya ni Edgar), and JanJan Mendoza (Urbandub)—the music, more than anything else, propelled the group to the consciousness of local rock fans. Formed only in 2009, Franco’s ability to mix heavy bass and guitar riffs and punching drum beats coated with engaging melodies instantly caught the fascination of critics and casual listeners. The band’s early materials like "Castaway," "Song for the Suspect," "Last Waltz," For My Dearly Departed," "Memory Kill," and "Touch the Sky," among others, encapsulate Franco’s brand of exciting music. With a growing fan base and a debut album waiting in the wings, MCA Music is finally launching Franco’s self-titled record on Saturday, May 1, at the Eastwood Central Plaza in Libis, Quezon City. This Gathering, Franco Live at the Eastwood Central Plaza will allow curious listeners to hear the songs included in the band’s all-original record. As an added treat, those who will purchase the album at the event site will earn special seats plus a chance to meet the band members up close. The band’s debut album Franco is released exclusively under MCA Music.